Have it with us! We provide the tools and drinks, you bring the fun! We only charge for materials, no memberships. Shop time and instruction are included; there is always someone here to help. We will assist you with both design and construction. Our shop is for everyone including beginners and we guarantee you’ll love what you make or we’ll remake for free. 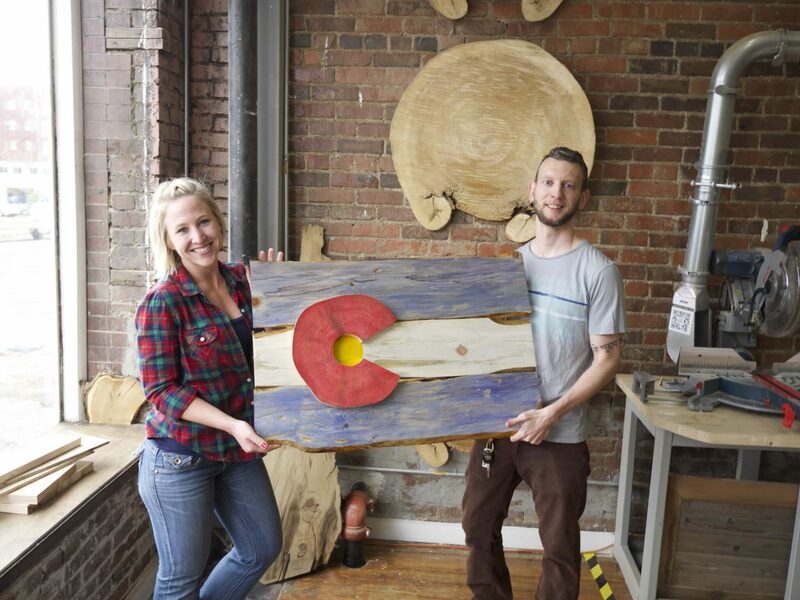 The woodshop is open 1pm-8pm Wednesday—Friday and 10am-6pm Saturday and Sunday. Come in any time and our instructors will help you work on your project. We’ll always be here to help, but it’s a great idea to let us know you’re coming. Sign up for workshop hours here. 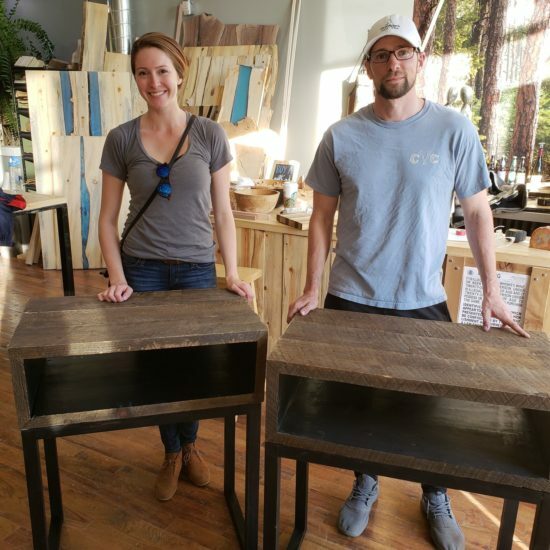 In our woodworking classes we give you all the tips, tricks, and tools you need to learn something new and make something amazing from wood; from our free woodshop Orientation to our Specialized Resin Technique classes, we have something for everyone! 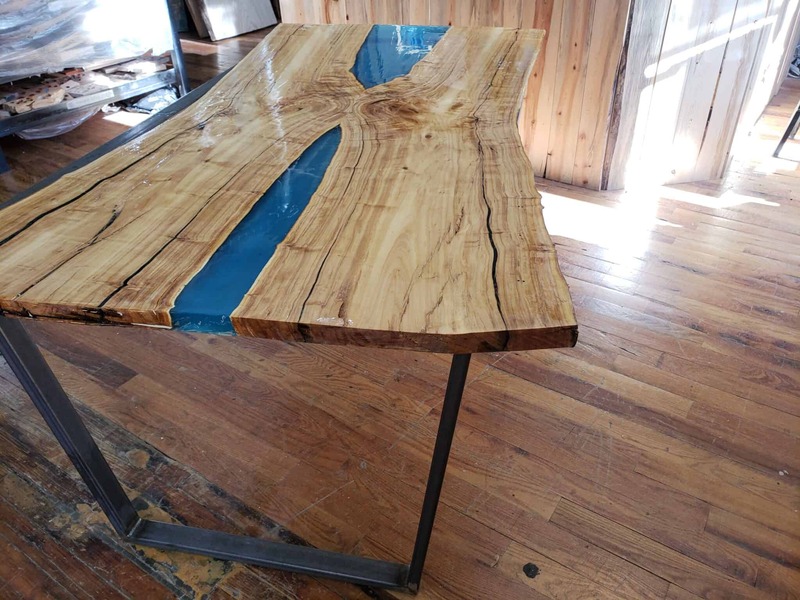 Check out our wood project gallery for tons of ideas to spur your imagination. 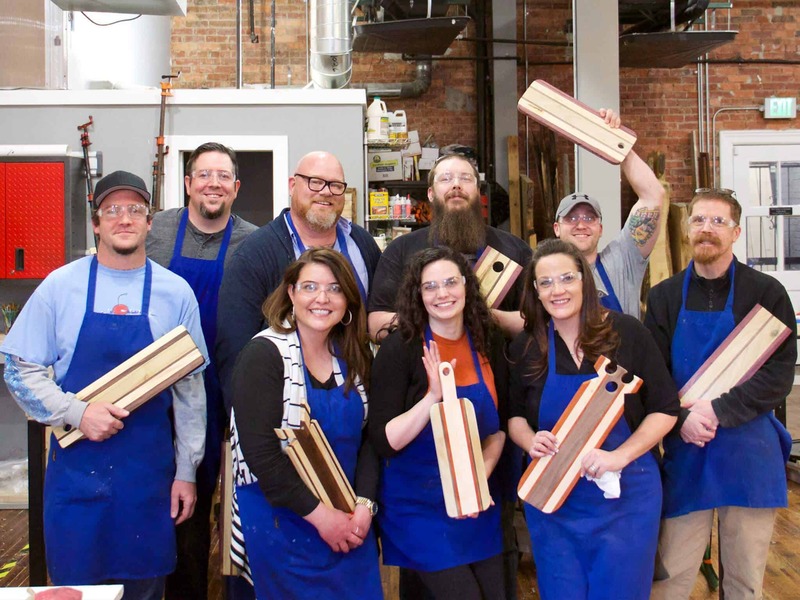 Attend an Orientation or Woodworking Social to get even more creative designs to inspire your next woodshop project! Come in with your Woodworking idea and we will help you pick out wood for your project. 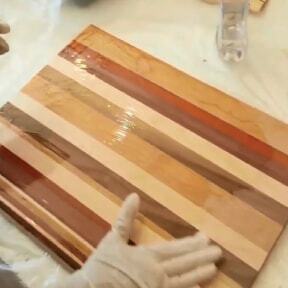 The cost is based on the size, and the type of wood you use. If you make a table, for example, we figure the L x W x thickness and the type of wood to figure out the cost. If you only need to use the tools, we just charge you $30/hr.. 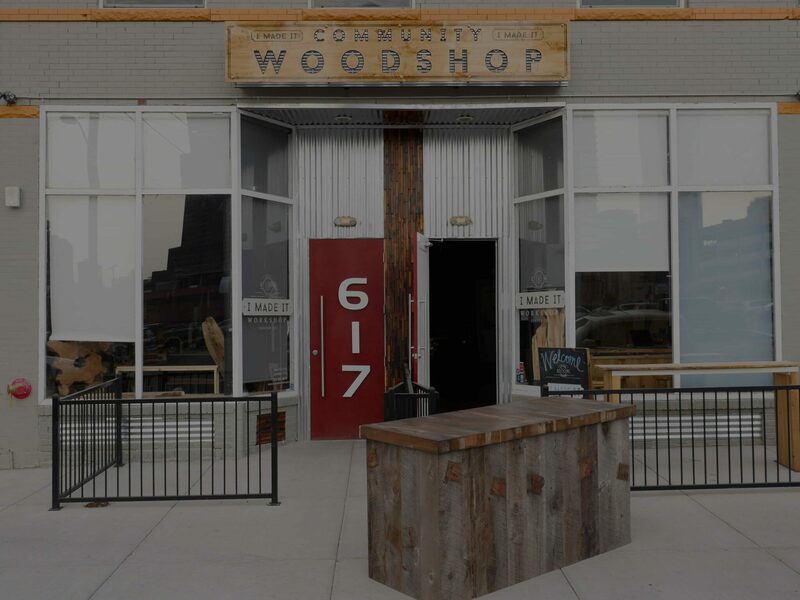 The woodshop is open 1pm-8pm Wednesday—Friday and 10am-6pm Saturday and Sunday. 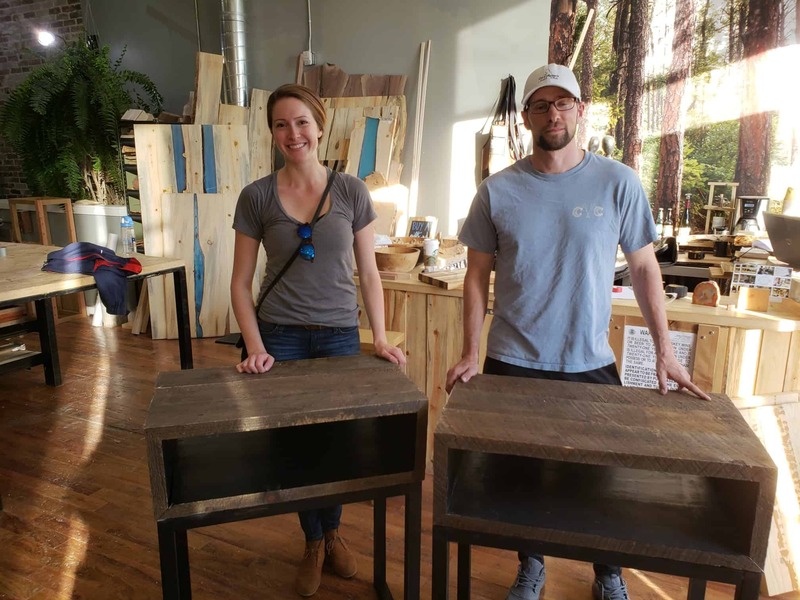 Sign up for Open Woodshop time from the Schedule Page and our instructors will help you work on your project. 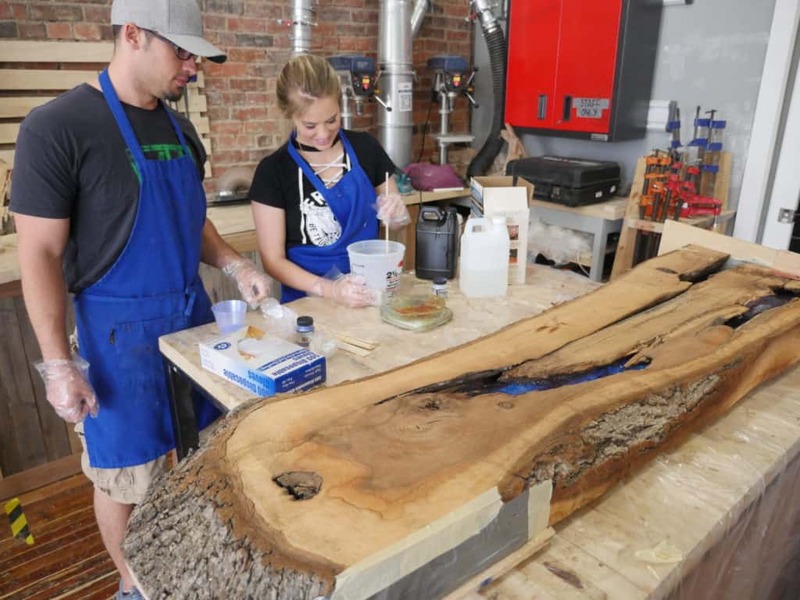 In our classes we give you all the tips, tricks, and tools you need to learn something new and make something amazing; from our free Orientation to Specialized Resin Techniques, we have something for everyone! Check out our gallery for tons of ideas to spur your imagination. 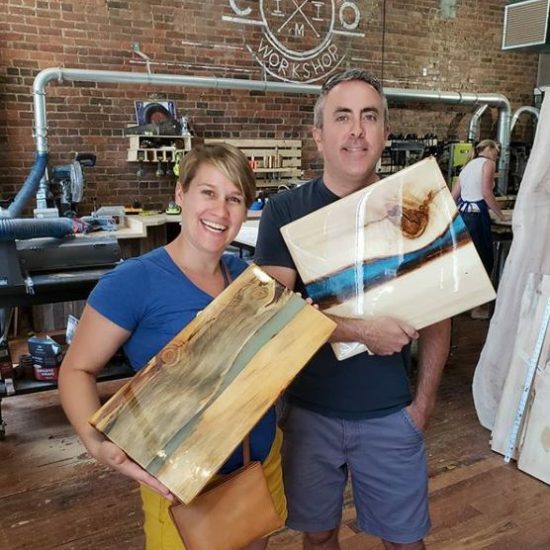 Attend an Orientation or Woodworking Social to get even more creative designs to inspire your next project!